Herbs have many practical uses and because of this, they are highly favored by many. Herbs are usually small plants that are used for culinary and medicinal purposes although there are some herbs in use that come from trees and shrubs. Per the botanical classification system, however, the term herb or herbaceous plant refers only to the short-lived, non-woody plants even if they may bear seeds. Herbs are valued principally because of their aroma, flavor and medicinal property. Herbs have been used by different cultures around the world for thousands of years. Perhaps the most ancient documentation regarding the use of herbs can be traced to the Ayurveda texts that were first written down around 3000 B.C. The use of herbs is deeply ingrained in the traditional Indian health care system. The Chinese is another old civilization that has also worked with herbs although the historical account of Chinese herbology seems to be later than that of the Indians by some 300 years. Among the herbs frequently cited in Chinese manuscripts is the Ganoderma mushroom that is now said to support the immune system and prevent cancer. The early Greeks and Romans were also very much into the use of herbs. Olden graphic representations of their kings and royalty like statues often included crowns of dill and laurel. Then again, crowns made of metal were always shown unadorned. Herbs are already a part of our daily lives. We have gotten used to them in our food. Different cuisines of the other countries can be distinguished by the herbs included in their recipes. A good example is Thai food, most of which list basil leaves as one of the ingredients. Basil is widely grown and this herb can be found all over. 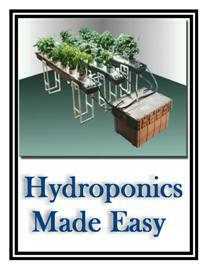 In the last few years, more and more people have gotten into herb growing. You can see herbs planted in people’s gardens and even in container pots. If you wish to grow herbs too, you will find them easy to take care of. Just plant them in fertile soil and make sure to keep them disease-free so as not to lose any of their beneficial properties. Heavily scented organic herbs are often used as natural insect repellent. Their leaves and other plant parts can also be dried for later use. The traditional drying method used is by exposure to sun and air while modern methodology includes oven treatment. However, oven drying is thought to destroy important elements of the organic herbs so the natural drying by sun and air is often recommended. The herbal industry includes a number of small scale companies engaged in the extraction of essential oils from the stems, leaves, and roots of certain herbs. You too can make your own herbal extracts at home. Simply soak the herb in oil for some time and its essence will be infused into the oil. It is said that herbal plants yield the most benefits before they reach full maturity or the flowering stage. Herbs are also often taken as tea blend. Modern tea brands carry herbal blends in their product lines. The medicinal application of herbs has not waned in popularity. People continue the use of herbs in making natural remedies for a host of ailments. For instance, rheumatoid arthritis pain is believed to relieved by the consumption of certain herbs. Aromatherapy is also dependent on the herbal sources of its essential oils.